The small country in Central Africa had never been one to receive much foreign attention until a plane was shot down in the capitol city Kigali. This began the infamous Rwandan genocide where more than 800,000 were killed and more than 2 million people were displaced the country or driven to neighboring countries. The reason for the Rwandan Conflict goes way back to the Middle ages, when a tribe called the Hutu who where predominantly farmers coming from an agrarian background, faced an invasion of people known as Tutsi tribe who had a more pastoral background. Due to the Tutsi's military superiority, they conquered almost all of modern Rwanda despite they had a lot fewer people. 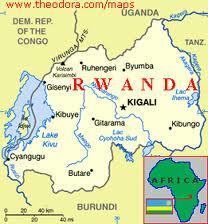 After World War I, The Belgians took over Rwanda and its neighboring countries and began to highly favor the Tutis. They began to provoke ethnic terms when they instilled ethnic cards to identify which tribe each individual belonged to. This caused a greater divide for the Hutus and the Tutsis inciting a deeper hatred for each other. The Hutus have been sub coordinated to the Tutsis for over 60 years, and have fallen victim to racial segregation despite being the majority. The Hutus Published the Hutu Manifesto and received power from the Belgian government, and once that happened the Hutu's chiefs decided to settle accounts with the Tutsis population. The Belgian government decided to step out of the country and granted the country its independence leaving the majority group the Hutus in power. Now that the Hutus are in power, their rule is based on racial superiority all thanks to the European ethnic and racial thinking. The ethnic clashes shortly after resulted in the mass migrations of the Tuti tribe into neighboring states like Uganda. 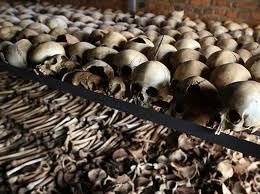 1980, the Rwandan People's front was created in Uganda as a counter movement to the oppressive rule of the Hutus. Between 1987-1992 the RPF was fighting the Hutu government in the capitol Kigali. After the Arusha records, which created a settlement the Hutu government began to plan an act of revenge against the Tuti Minority to solve the issue of them being in Rwanda. They Began plotting the Rwanda genocide. There are many reasons on to why the Genocide happened, and one way too look at it is that the Mass killings of civilians was a way that Jared Diamond would. The Rwandan resources were weak and limited and before the genocide it was reaching the Maximum population density and declining per capita for food because of a major drought and overworked soil which caused a mass deforestation. This would bring to the synchronized and planed killing of a minority or any human being of not important status to help get them out of their current situation. The Environment's impact in the genocide was the lack resources caused by colonialism, the country was reaped of its resources and it spiraled into depression and a state of hysteria where mass killings were being taken place. The geography of Rwanda has affected the outcome of the genocide and the reason as to why so many people had to die for either cause.